We welcome you to our lodge, our camp, as well as our home. 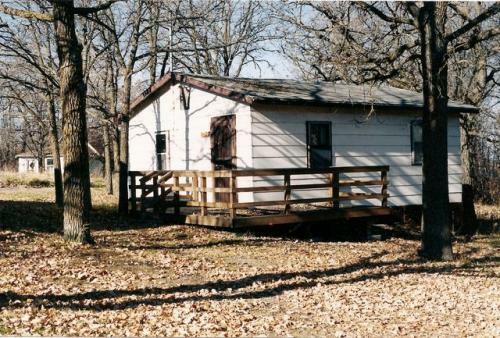 There's a lakeview cabin and some great memories waiting for you. We, Cheryl & Gary Gauthier, purchased our Resort in May of 2002, moving from peace and solitude on countryside property. We lived only 2 1/2 hours from here, in Ste Genevieve which is close to Ste Anne, in the neighbouring province of Manitoba, west of Ontario. There too nature called out to us and enthused our love of nature and the great outdoors with it’s many adventures and activities that go along with it. We enjoyed the peace and solitude of our property along with all the outdoor activities, including hunting and bird watching. The only thing missing was the lifestyle only offered by living at the lake. Now we wouldn't have to trailer an hour or two to go fishing, which we also love doing. The love of nature and the love of people brought us here to enjoy the infamous beauty of Lake of the Woods. With its astounding display of sunsets, bountiful birds and wildlife, excellent fishing, and fine sand beaches on private islands, this region is a nature lovers paradise. There are many photography opportunities here. I am sure you will love it here as much as we do. 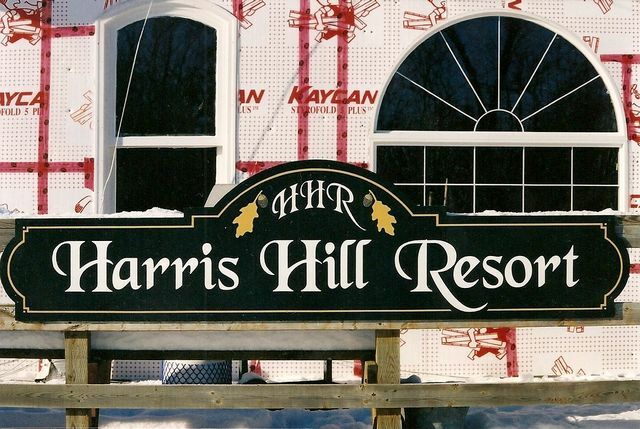 In May of 2002 we re-named our resort after the area "Harris Hill", which has its own history. Apparently this unorganized Spohn Township needed a name in order to have a Post Office here. The people that ran the post office were originally from Harris Hill, Scotland, thus the name for our area, which it is still known as. This resort has had 3 previous owners. Emmett & Bernice Conrad were from Des Moines, IOWA, USA; then Tony & Lynn Beyak who were originally from Rainy River, Ontario; then Ed & Marjory Richard along with their daughter Gail Wood, who were also from the USA. Ed & Marj were originally from Florida, but reside in West Virginia now. Gail was from Maine. 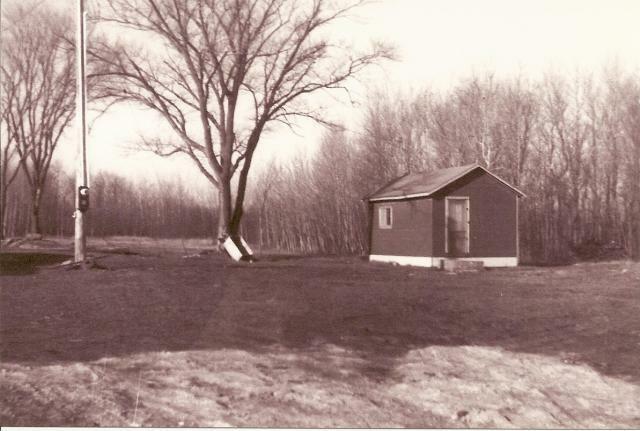 Emmett & Bernice Conrad had built the lodge and cabins and started the camp in approx 1960. 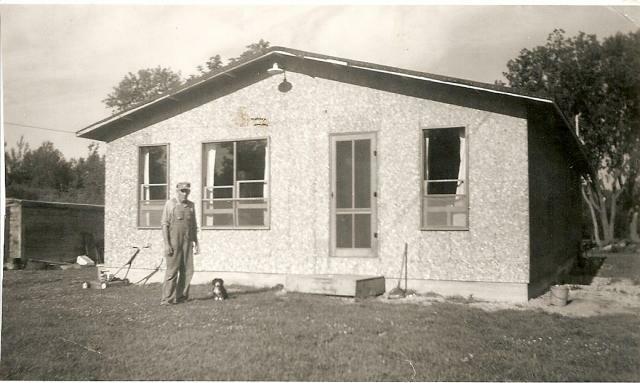 Emmitt Conrad finished building the lodge for the resort, with their bedroom in the back. There was only one cabin here when they bought the place. It was named Cabin #1, but the last owners changed it to Cabin #5 as it still is now. 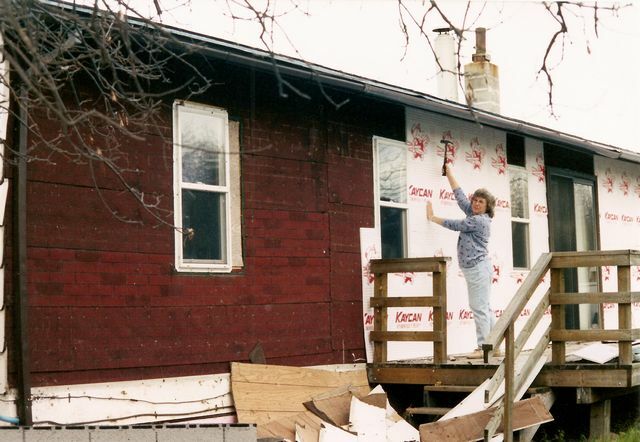 This is what it looked like when Conrad's purchased the property. 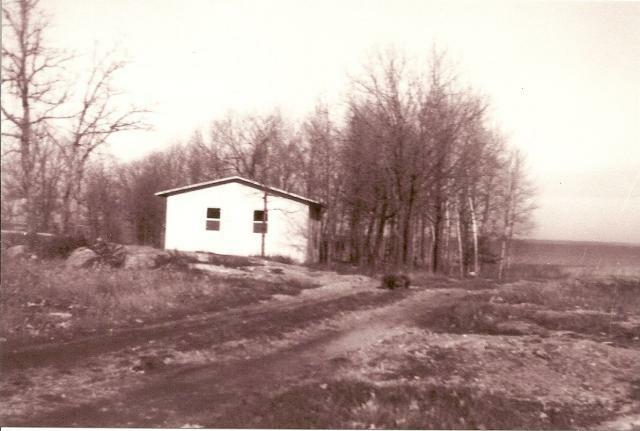 This is Cabin #1 when it was just built. This view is from the lodge. Cabins 1, 2, 3, & 4 on top of the hill towards Lake of the Woods. View from the lodge. 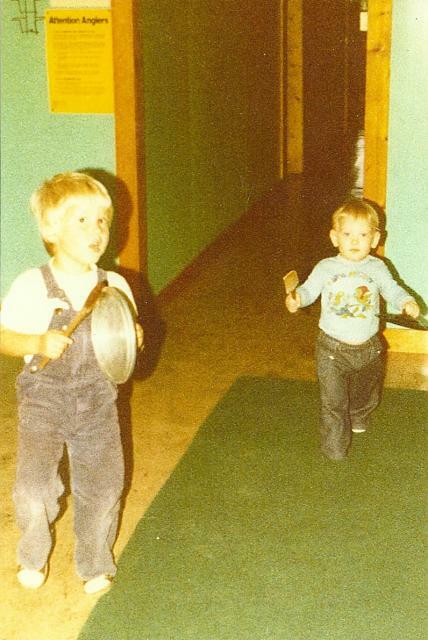 Picture taken May 1972. Cabins 1, 2 & 3 Emmitt built. Cabin 4 was moved in. 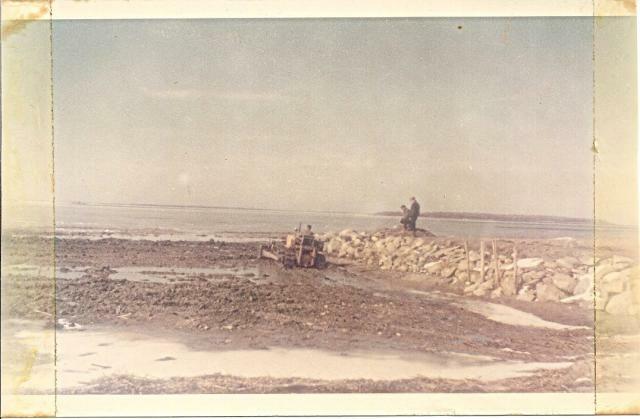 The Conrad's had alot of fishermen coming in, and that was their main business. Look how there was no water in the Bay then. Look how REALLY HIGH the water is here! Emmett Conrad had passed away in 1986 and Bernice has passed away in 2005. After they sold the Lodge, they stayed and lived in this nearby area for awhile. It's always hard to leave a place that you love. They left behind many friends here that they always kept in touch with. 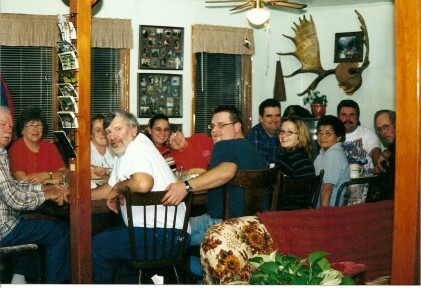 Lynn & Tony celebrating Tony's Birthday Mar 31, 2002. Tony passed away 8 days later. Tony & Lynn Beyak, with their 2 sons Jason & Nick, dearly loved this place. This hallway was closed off and became part of the kitchen, with a new doorway to the right. 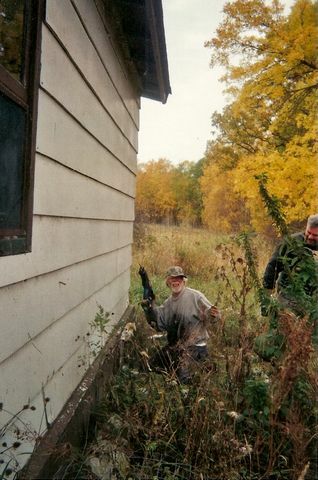 Tony & Lynn added non-resident Black Bear Hunts as well as Resident Whitetail Deer Hunts. They continued having success with fishermen also, and made this resort prosper. They had to sell in 1990 because the school semesters were conflicting with the operating seasons here, which would mean that the boys would not be able to be with Tony & Lynn for long stretches of time in the spring then again in the fall as they went on to the higher grades of school. 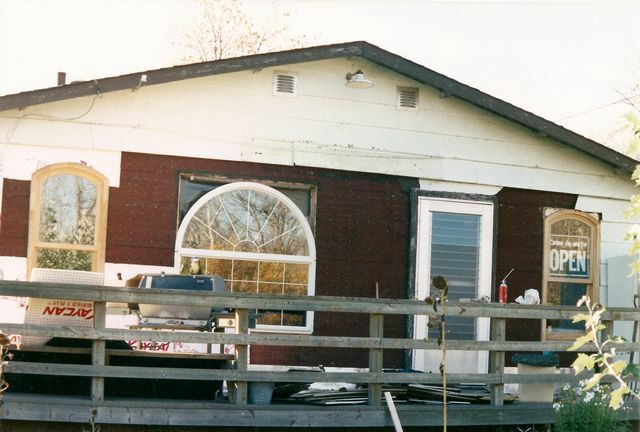 Tony had grown up in Rainy River and had wanted to retire here. He thought about buying it back. Unfortunately,Tony passed away in April, just prior to Cheryl & Gary purchasing their new property. Lynn visits here quite often, as Tony is buried at McInnes Creek Chapel/Church, approx 7 miles from here. Gravestone for Tony (& Lynn) Beyak at McInnes Creek Chapel/Church. This picture portrays the view of the back side of the gravestone with WBL on it. Tony & Lynn so loved this place and this area that a picture of the Lodge is etched on the back of Tony's tomb stone. Ed & Marjory Richard and their daughter Gail Wood also loved it here. 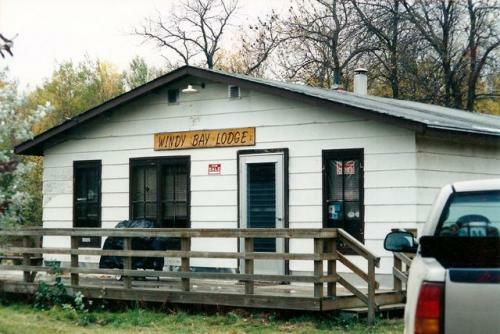 They purchased the Lodge in 1990. These stools were still here. We have purchased Diamond Willow Stools to replace them. This is where Gail met Jim, the love of her life and her companion. 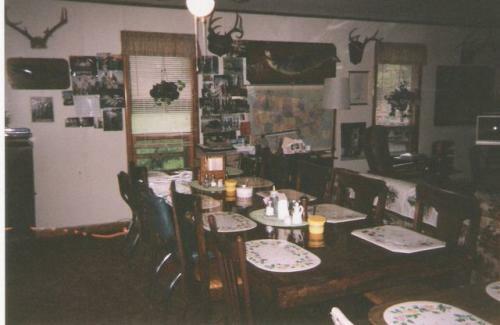 Ed, Marge and Gail almost exclusively ran the Lodge as a non-resident Black Bear Hunting Camp. After Gail became sick, and the spring bear hunt was cancelled in 1999, Ed & Marj reluctantly had to sell. 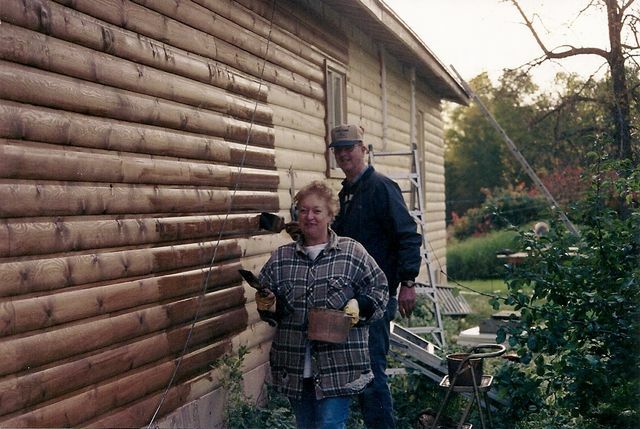 Ed & Marge now live in West Virginia and are still enjoying life to the fullest with gardening, fishing and hunting, the things they love the most. Gail has passed away in 2003. Ed has since passed away also. Cheryl & Gary were fortunate to have met Ed & Gail when we first came up here in October of 2000. Only got to talk to Marge on the phone and by letters and cards she has sent. 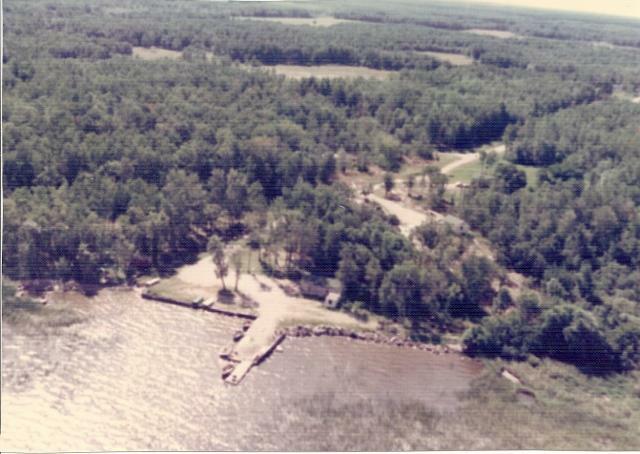 Captain Joe & Carol Ann Mott started coming here while Tony & Lynn Beyak still owned the lodge. 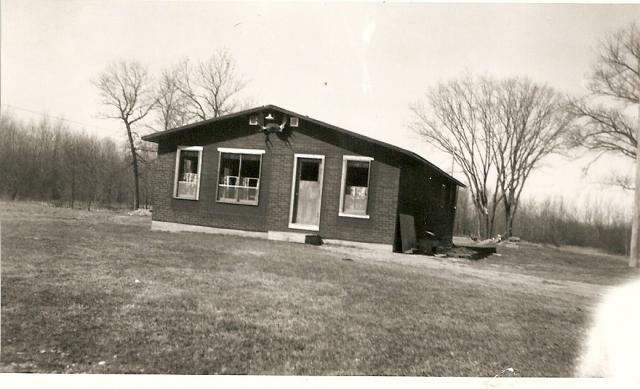 Joe & Carol Ann later purchased the cottage across the road from the resort when Mrs Lillian Wood put it up for sale. Mrs Wood passed away in 2005. 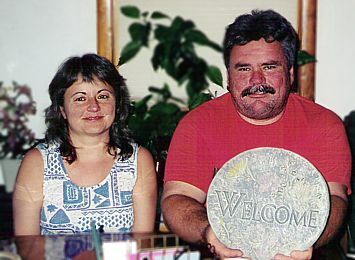 Joe & Carol Ann Mott, 2002, in the lodge We were very fortunate to have met them. They became dear friends. They were only out for fall duck hunting. 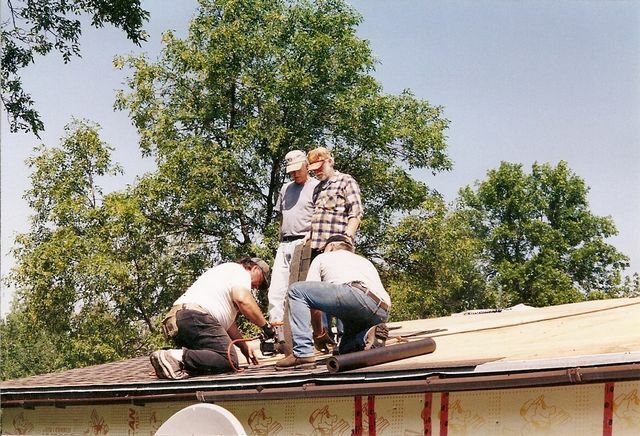 As Joe had Parkinson's Disease, they reluctantly had to sell their cottage. Joe has since passed away in Feb 2008. 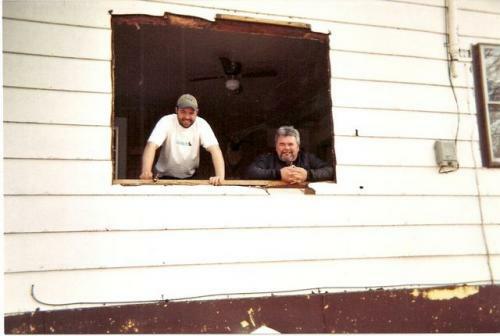 Dean & Billie Black had purchased the Mott's property in 2005, which we now own since 2010 (Deluxe Cabin 7). They have become good friends too. Dean loved it here right from the beginning; and Dean and Scott (youngest son) would have moved up here if they could. They all love fishing. Dean even came up for winter ice fishing in 2006 for the first time, and has continued coming fishing every year since then. 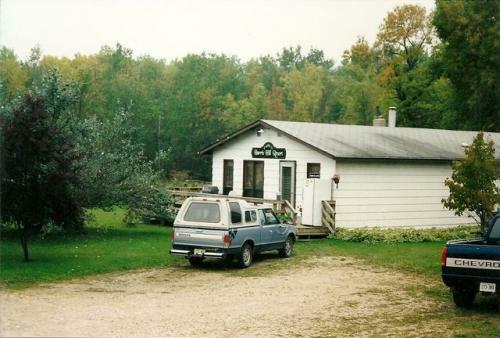 We first viewed the Lodge in October of 2000, but it didn't work out that we purchased it until May of 2002. The resort was vacant for two years before we bought it, so we did not actually purchase it from Ed & Marge as we had hoped to. Picture of Lodge with new Sign made by Greg Wilson of Rainy River. Also our two vehicles, both 2-wheel drive trucks - 86 Nissan ST & 96 Chevy Silverado; both replaced by 4X4's we needed for hunting. When Gary viewed the property, all he saw was work. Cheryl fell in love with it and knew we were supposed to be here. It needed alot of work and tender loving care though. 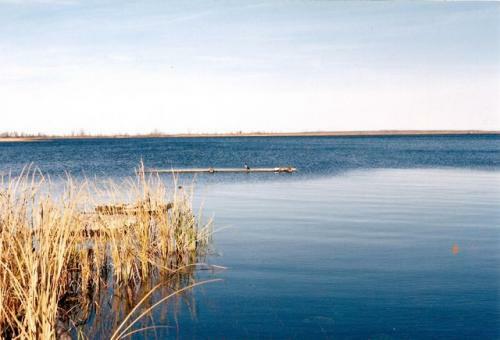 There was no dock here on the lakeshore when we moved here, and the reeds grew in over the rock cribbing. 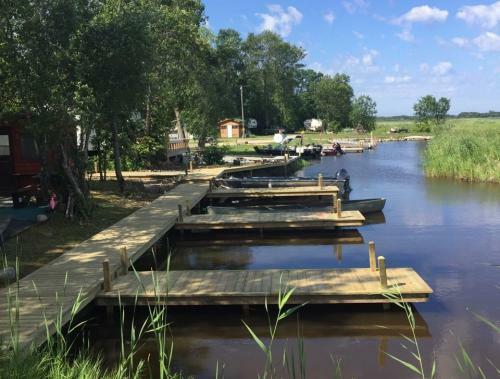 Docks (4 sections 8' wide by 20' long) delivered by Darren Lowes of Sleeman, Ontario (Part of Lowes Lumber & Furniture Sleeman & Rainy River Ontario). They closed in 2012. In spring 2009 we re-dredged the existing harbour and had a new harbour dredged. 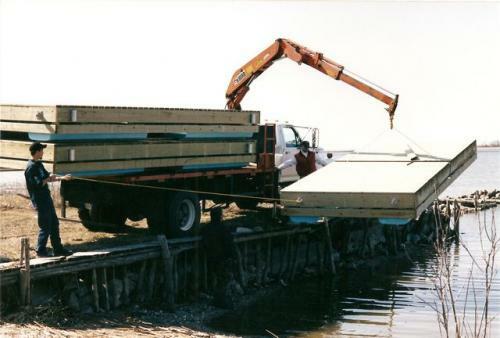 We also added boat dock slips in the new harbour plus 2 more 8 X 20' sections to the main dock. In 2016 we dredged a third Harbor in front of the Mott/Black property.where we now have walkways & boat slips also. 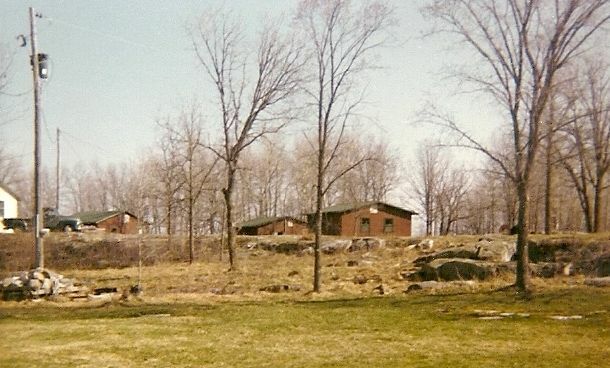 Cabins 3, 2 & 1 were all the same size and the same shape on the outside. Cabin 3 is now double in size. Cabin 1 had the best exterior and interior when we moved here. Cabin 1 interior - this was the best cabin at the camp. 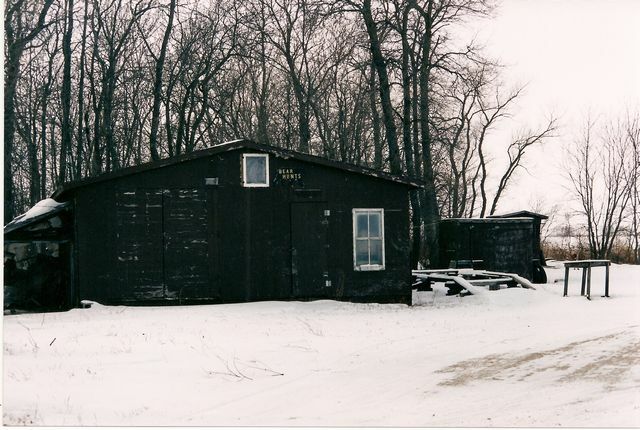 Just remember, the cabins don't look like this anymore! They are all log sided on outside with green tin roofs. Interiors are pine with oak cupboards. 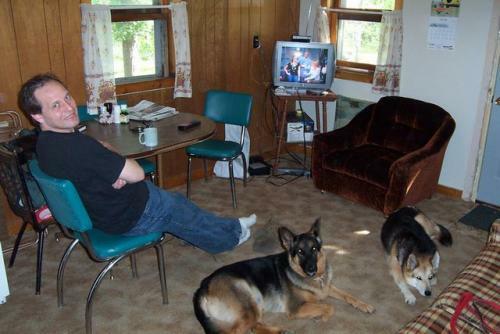 We have added HD Satellite TVs, Air Conditioning, microwaves and BBQ's to all the cabins. Our first 3.5 weeks here we had no electricity as the meter had been previously removed as the resort was vacant. We had to wait for an electrical engineer to do an inspection. As this lodge had only been occupied from spring to fall, we had no idea what we were in store for in the winter either. The first winter our in-coming water, our drains and our sewer all froze up. We had no water from January 6th to April 29th!!! We had to do our laundry in Rainy River, and got to know our neighbours well as we needed drinking water and showers. We are very thankful that we do have great neighbours. Special thanks to Robert & Carolyn K. and Bill B. for that. In fall of 2003 we had to get ready for another winter. 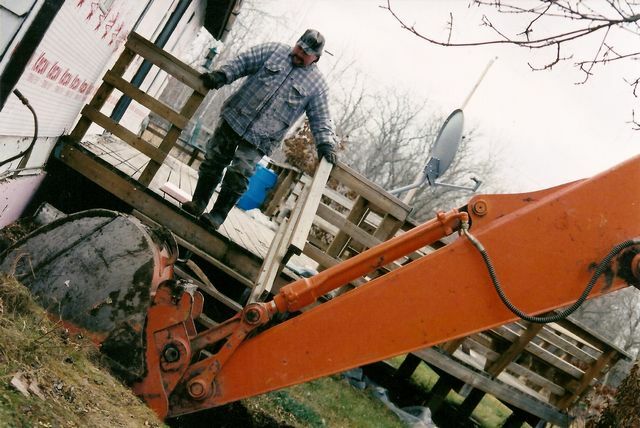 Miller Contracting from Morson, dug the new water line from the well to the lodge, some 250' of pipe. We run a heater under the crawl space where the water line comes in, just to make sure it doesn't freeze again! If there is plenty of snow in early winter our drains do not freeze, so that's good. 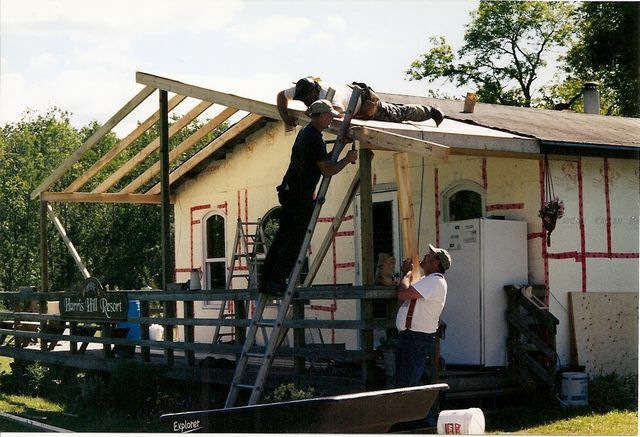 HHR gets new Porch Roof over deck: built by Perry C & Bill H & John L.
New garage being built by lodge with lots of help from Greg C Contracting, Selkirk Manitoba:(project that's not quite finished yet); made with "packing doors" from Menards, International Falls Minnesota & gravel delivered by Miller Contracting in Morson Ontario. It has progressed alot since this picture - need to add new picture yet. Every year we do building & equipment improvements, and our earnings continually go back into this place. Our cabins are really looking good now! All of the existing boats and motors have been replaced and we now have 18' - 19' Deluxe Boats with livewells etc & 50hp, 60hp, 75hp, 115hp 4-stroke Yamaha motors. 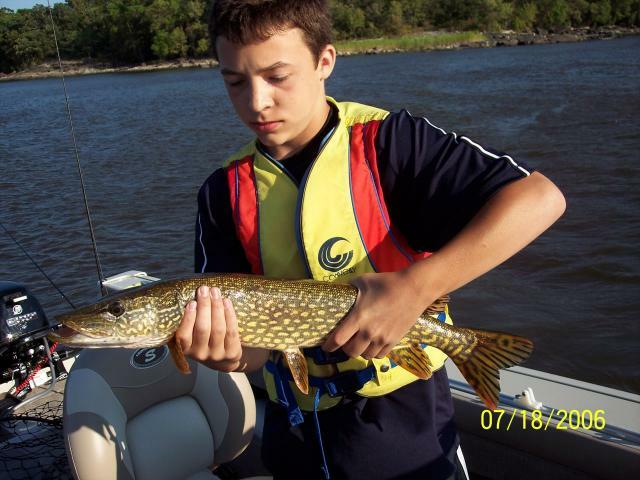 The resort has really improved dramatically and is a great place to spend your fishing, hunting or family vacations. We still love it here and hopefully this story continues to get better and better. 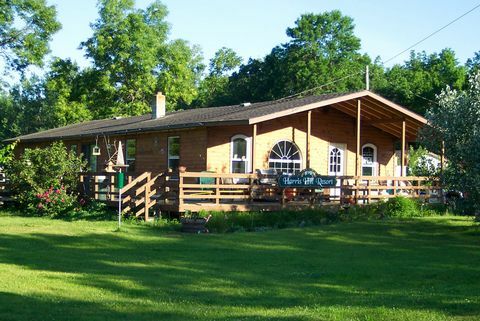 You can view our cabins on this website and our resort on YouTube. www.YouTube.com . 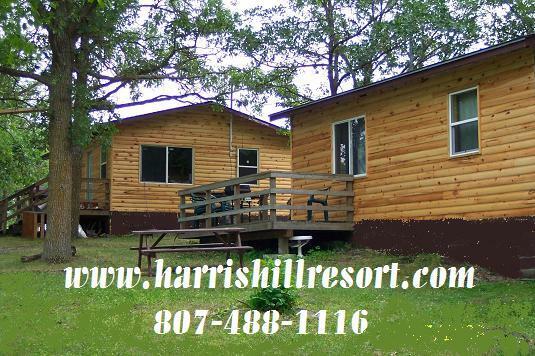 In the search area, enter Harris Hill Resort, and our many videos will come up for you to enjoy. Harris Hill Resort Annual Neighbourhod Christmas Party: Starting in 2002 when we moved here, all the neighbours (16-21 at a time) come and enjoy a pot-luck supper, exchange wrapped unmarked gifts, sing carols, and enjoy each other's company. We decorate a Christmas tree and every guest receives a Christmas Card and a present from us. Our highlight for the camp is our Whitetail Deer Hunting Season - with our largest Boone & Crockett Whitetail Buck scoring 197 green score (179 2/8 dry score). Our successful bear Hunts - with our largest of 550 Lbs; Our incredible Lake of the Woods fishing with largest Walleye 34"; our largest Musky 55", our largest Smallmouth Bass 23", our largest Northern Pike 49", our largest Crappie 16.5".